CubeBackup - How do you solve the “Network access failed” error? 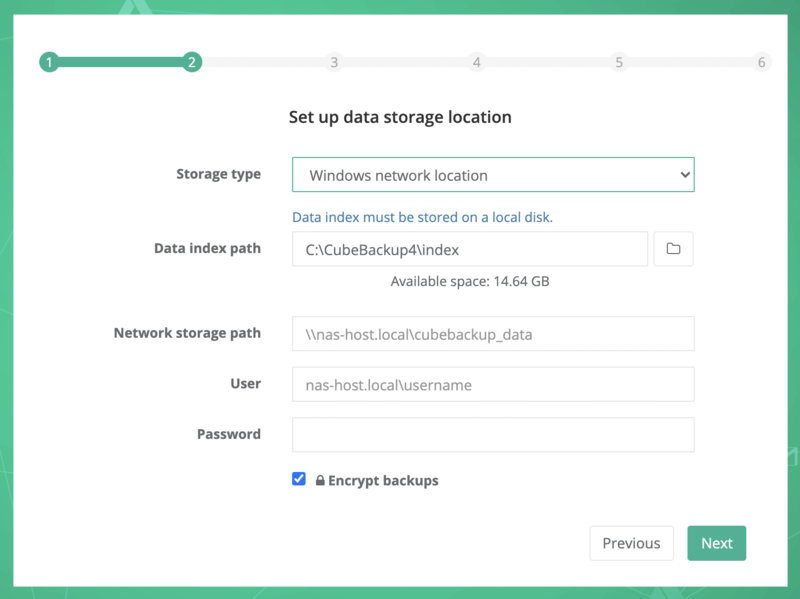 If CubeBackup is installed on Windows, during the initial configuration of CubeBackup, when choosing Windows network location as the backup storage type, you are required to enter the Network storage path and user/password credentials for that path. 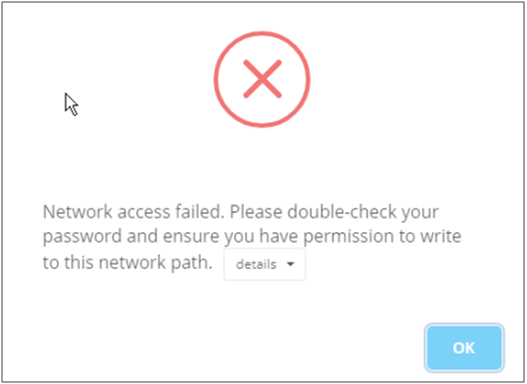 After clicking the Next button, you may be prompted with a “Network access failed” message. Make sure the Network storage path is accessible in Windows Explorer. The path can be written in IP format (\\192.168.1.123\backup) or NetBIOS format (\\synologyNAS\backup). The user name should be an account on the network storage server, such as synologyNAS\backupadmin, or a domain account like mycompany\backupadmin, which has the permission to write to the Network storage. It should NOT be the account on your local computer or the backup server.